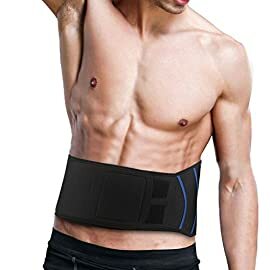 View cart “DYNA Trainer Electrical stimulation for your abs As seen on TV” has been added to your cart. 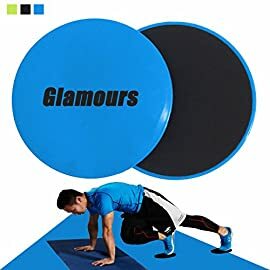 IDEAL FOR CORE TRAINING WORKOUT – Perfect for working your major abdominal muscles with secondary workout of arms and legs, thighs, triceps, biceps, quads, chest, lower and upper back. 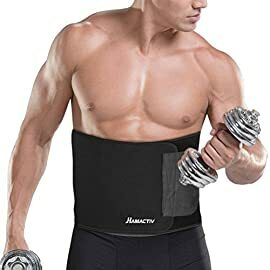 Multiple uses for sports and fitness, excellent for use with building 6 pack abs core muscles. 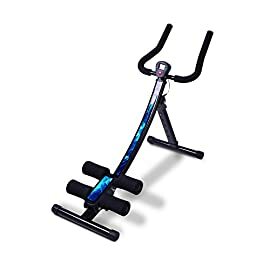 PREMIUM QUALITY – Manufacture with high quality parts material, Ab wheel is well constructed with heavy duty hard plastic making it highly durable and built to last. These extra wide wheel provide balance and safety during use. Ab wheel has diameter of 7.3″, 16″ bar length and 2″ wide wheel. 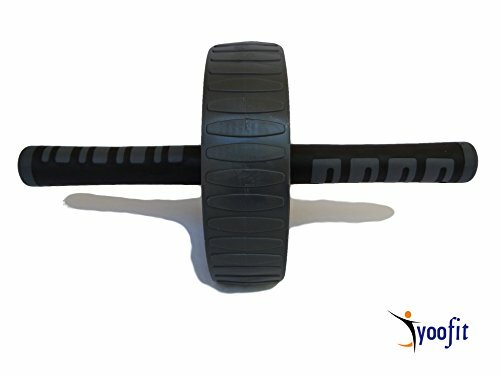 UNIVERSAL PRODUCT FOR EVERYONE – Ab wheel roller are ideal abdominal equipment for men, women, young and old for all fitness levels. Extra wide wheel ab roller provides balance, flexibility, strength, comfort and better stability control during uses. 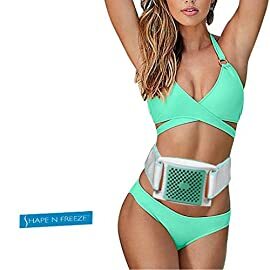 Works major stomach muscle progressively, safely and effectively. 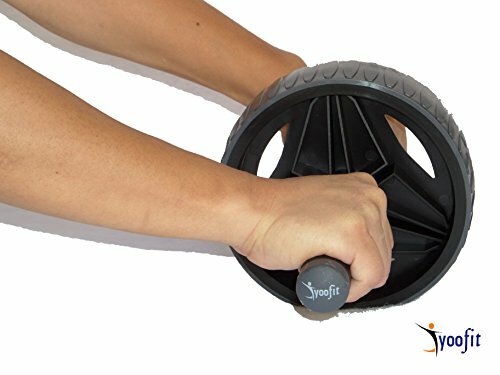 • Wide Ab Wheel – 7.3″ diameter and 2″ wide hard plastic wheel along with 16″ length steel bar. All parts are easy to assemble. 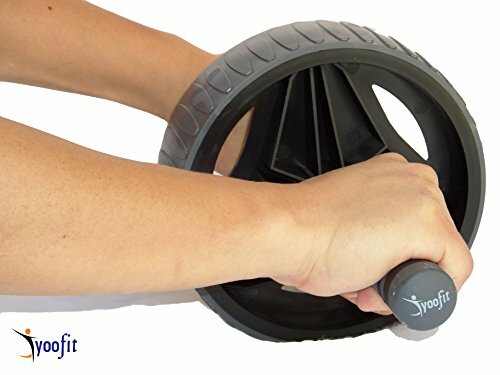 Why Choose Yoofit Sports Ab Wheel Roller? 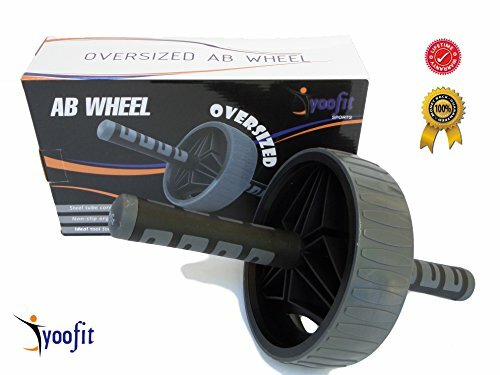 • Manufacture with high quality parts material, Ab wheel is well constructed with heavy duty hard plastic making it highly durable and built to last. • Advantage of single wide wheel enhance safe stability during roll out for all multiple fitness levels usage, from beginner to advanced, from starter to pro. Ab wheel roller build abdominal muscle by combining with other exercise equipment to add variety to your daily workouts routine. 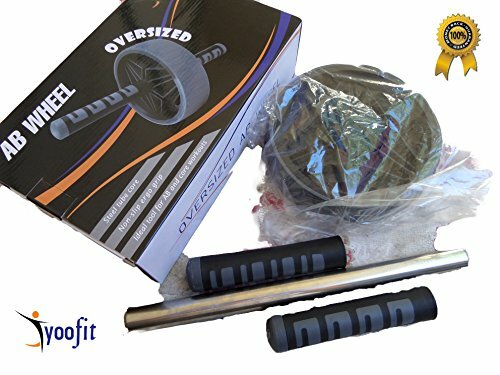 • Heavy duty rollers set are highly durable and built to last, excellent for home gym workout or on the go. 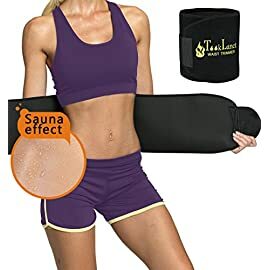 Features/Benefits: • Perfect for working your major abdominal muscles with secondary workout of arms and legs, thighs, triceps, biceps, quads, chest, lower and upper back. 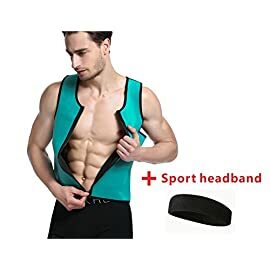 Multiple uses for sports and fitness, excellent for use with building 6-pack abs core muscles. 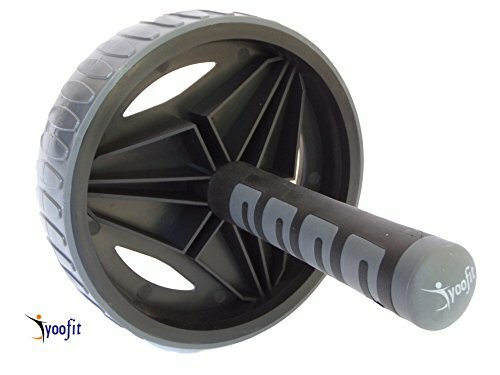 • Ab wheel roller are ideal abdominal equipment for men, women, young and old for all fitness levels. Extra wide wheel ab roller provides balance, flexibility, strength, comfort and better stability control during uses. 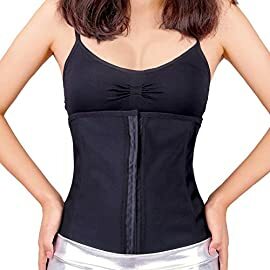 Works major stomach muscle progressively, safely and effectively. EFFECTIVE MULTI-LEVEL FITNESS EXERCISE – Advantage of single wide wheel enhance safe stability during roll out for all multiple fitness levels usage, from beginner to advanced, from starter to pro. Ab wheel roller build abdominal muscle by combining with other exercise equipment to add variety to your daily workouts routine. 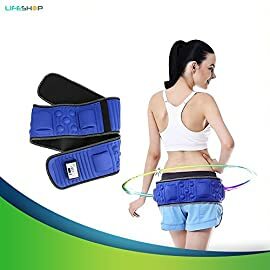 This ab roller is good for fitness, body shaping, weight loss, and decrease back injury therapy. LIFETIME WARRANTY – If you’re not satisfied with the product for any reason, let us know and simply return it for a full refund. 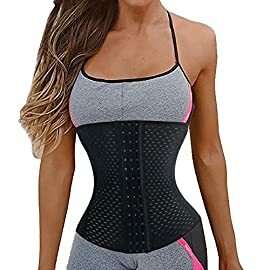 100% Money Back Satisfaction Guarantee.